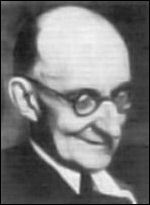 Tokarzewski-Karaszewicz, Jan [Ян Токаржевський-Карашевич] – diplomat, active in political and community affairs, historian; born on 24 June 1885 in the village of Chabanivka (Kamianets-Podilskyi raion, Khmelnytskyi oblast, Ukraine; at that time – Ushytsia county, Podillia gubernia, Russian Empire); died on 18 November 1954 in London, England, United Kingdom; originally buried in Gunnersbury Cemetery, London, reburied in 1978 in St Andrew’s Ukrainian Cemetery in South Bound Brook, New Jersey, USA. Married Oksana Tokarzewski-Karaszewicz. Tokarzewski-Karaszewicz was a descendant of Polish-Lithuanian nobility. He attended the boys' gymnasium secondary school in Zhytomyr and, from 1906, studied philosophy and political science at the universities of Fribourg, Vienna, Toulouse and Munich. He spent the years 1910-18 managing his estate in his native village of Chabanivka. He was general comptroller of the Podillia zemstvo Red Cross committee and then member of the Ushytsia county and Podillia gubernia zemstvo assemblies. From 1918 he was in the diplomatic service of the Ukrainian State and the Ukrainian People’s Republic (UNR). His first posting was as a counsellor at the embassy in Vienna (June 1918 – June 1919). From August 1919 to December 1921 he served at the embassy in Istanbul, initially as counsellor, then as chargé d'affaires and finally as ambassador. He also played a key role in efforts to secure official recognition of Ukrainian independence by the Vatican. In 1922-24 he served as deputy minister and director of the Ministry of Foreign Affairs of the UNR government in exile in Tarnów, Poland. In 1924-36 he lived in Paris, where he wrote on Ukrainian affairs in various publications, served as secretary-general of the Cercle d'Etudes Ukrainiennes and was head of the International Institute of Heraldry. In 1936 he moved to Rome where he contributed to a number of Italian periodicals, gave lectures on Ukraine and conducted research in various archives and libraries. In 1948 Tokarzewski-Karaszewicz moved to London, where he played an active role in the work of the Anti-Bolshevik Bloc of Nations (ABN). He was a member of the ABN Central Committee and, from 1948 to 1954, head of the ABN Delegation in Great Britain. He was also one of the earliest regular contributors to the Vyzvolnyi Shliakh (Liberation Path) journal. In 1951 he was involved in negotiations with the government of Spain regarding the introduction of Ukrainian broadcasts on Spanish National Radio. He was the author of numerous articles in Ukrainian, Polish, French, Italian, German and English on Ukrainian history, literature and heraldry. His monograph on the history of Ukrainian diplomacy has remained unpublished.